the four Vienna-based musicians thunder a thrilling mix of stoner rock, blues rock and psychedelic rock at us, carried by a – naturally monstrous – voice of orchestral range. Straight but epic, strange but catchy, striking far away from metal clichés. Amidst dust-dry riffs, unbending drums and brimming guitar solos, singer Oliver Müller opulently and powerfully asks questions about the ordinary things in life, balances on the edge of sanity and speculates about mirages, machine messiahs and the meaning of life. That opposites are no contradictions for MONSTERS OF THE ORDINARY is proven not only by the different musical origins of the members. Since their formation in 2007, two EPs (“Collisions & Encounters”, “Stuck Inside Your Mind”), the two albums “On The Edge And Beyond” (2012) and “Mirror” (2014) and their latest release “Breaking Silence Violently” (2017), the monsters have been fusing potent grooves and melodies into an inseparable unit. 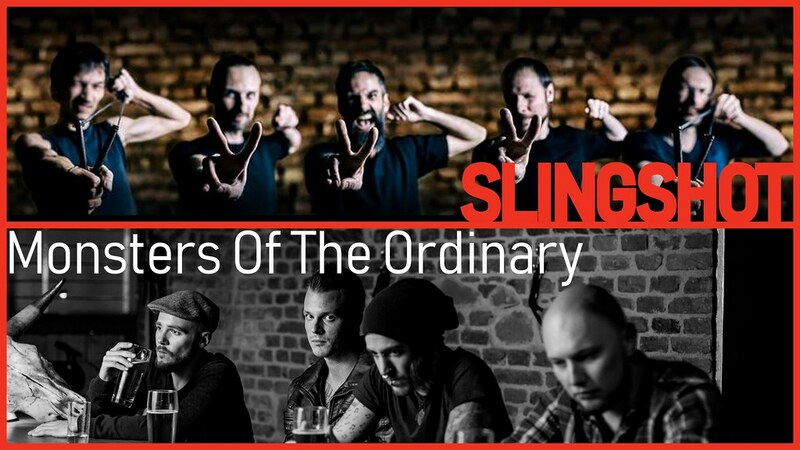 The band has shared the stage with international acts such as Truckfighters, Samsara Blues Experiment, My Sleeping Karma, Nebula, Orange Goblin, Mustasch, Monkey 3, Ufomammut, Riot God, Brave Black Sea, Deville, Planet Of Zeus and many more.